The diverse leftist groups embraced a variety of attitudes towards the war. Most Socialist-Revolutionaries and other peasant-orientated socialist groupings, such the Trudoviks, advocated ‘defensism’. The essence of this approach was expressed by the Trudovik spokesman Alexander Kerensky, who urged the working people first to ‘defend our country and then set it free’. Many Mensheviks were in favor of pacifism, while the Bolshevik leader, from his exile in Switzerland, preached outright defeatism insisting on ‘turning the imperialist war into a civil war’. The scale of the war confirmed Lenin’s radicalism. To him it was an irrefutable proof that the final crisis of capitalism had arrived. In the work Imperialism, the Highest Stage of Capitalism published in 1916, Lenin argued that by the end of the nineteenth century capitalism in advanced capitalist countries had reached its highest and last stage - imperialism. The war arose from the irreconcilable internal contradictions of ‘bourgeois’ societies and the growing conflicts between imperialist capitalist powers over colonial profits. The class struggle became ever more intense. Mounting economic crises escalated into a general crisis of the capitalist system which spilled over in the catastrophe of world-wide war. The war marked the death agony of capitalism and opened the way to revolution. The task of the proletariat and Social-Democratic parties of the belligerent countries was to transform the imperialist war into a series of revolutionary civil wars against their capitalist governments, which would ultimately lead to the triumph of a world revolution. At Lenin’s insistence the slogan of ‘revolutionary defeatism’ was adopted by the Central Committee of RSDLP as early as the autumn of 1914. The Bolsheviks denounced the war as unjust and predatory on all sides of the conflict and called on the workers of the belligerent nations to seek the defeat of their own ‘bourgeois’ governments. Lenin and his adherents hoped that the implementation of this slogan in practice would lead to the collapse of the imperialist states and the transformation of the the First World War into a world revolution. 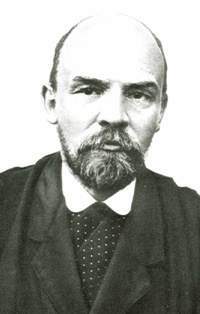 The decision of the German Social-Democratic Party to support the German government in 1914 confirmed Lenin’s fear that, at the moment of truth, moderate socialist parties would support the bourgeoisie. From this time he saw the moderate socialists as enemies, fighting for, rather than against, the bourgeoisie. Lenin’s suspicion of them was further vindicated at two international conferences of the socialist Left in Switzerland, the first in Zimmerwald in 1915 and the second at Kienthal in 1916, at which he presented his ‘defeatist’ program. Lenin’s extreme defeatist views were rejected even by these radical leftist gatherings. Only a small minority supported his stand that it was impossible to attain socialist revolution without wishing for the defeat of one’s government and actively working for such a defeat. Undisturbed by the objections to his strategy in the ranks of the leftist socialists, Lenin continued to work, with his characteristic stubbornness and ruthlessness, for the realization of his ideas. By 1916 the defeatist slogans began to gain popular support leading to the rise of the pacifist movement in the army and navy. Instances of insubordination to officers, refusals to advance, mass surrenders, desertions multiplied. At some parts of the eastern front Russian soldiers even fraternized with the enemy troops. The continual growth of the Bolsheviks’ influence - both at the front and in the rear - spelled grave dangers to the authorities.